Automatic microphone mixing, long a staple of commercial sound installations, has moved to professional dialogue recording for film and television production. This is the story of that journey over the past half century. Just as with self-driving cars and point-and-shoot photography, people often get the wrong impression about automatic microphone mixing. No, it does not remove human skills and expert knowledge from the live audio production, it only aids the process. Laugh if you like, but many people don’t understand that. Misconceptions abound. Automatic microphone mixing — long a staple of commercial installations, courtrooms and legislatures — is not even about the mixing of audio. That’s still done by skilled hands. However, automixing is quickly expanding into the production of dialogue for film and television programs due to a dramatic increase in the number of microphones being used today. Automixing essentially reduces the strength of a microphone's audio signal when it is not being used. The result is typically lower hiss, rumble, reverberation and other extraneous noises that occur when multiple microphones are operating simultaneously. Comb filtering — an annoying delay in the sound signal itself — can also be reduced when several microphones are being recorded or used in broadcasting. Typically, automixing is used to handle multiple subjects on broadcast talk shows or conferences, as well as actors' wireless microphones in theatre productions. Auto mixers are useful in situations where multiple microphones are open in a spontaneous situation and operators cannot always anticipate or predict which participant will speak next. Sudden interjections by speakers may be lost, or the beginning of a word may be clipped because the operator does not respond quickly enough to open the mic’s channel. An automatic mixer can prevent these flaws, while keeping most microphones off until needed. In the professional sound industry, automatic microphone mixing has been around about 50 years. In 1969, Frank J. Clement and Bell Labs received a patent for a multiple station conference telephone system that switched its output to the loudest input. The next year, Emil Torick and Richard G. Allen, were granted a patent for an "Automatic Gain Control System with Noise Variable Threshold," an adaptive threshold circuit invention with its patent assignation going to CBS. Since then new types of automatic mixers have come and gone on a regular basis. Many had flaws in their operation. Some tried the use of gates, but in most live situations it wasn’t possible to find a gate threshold that worked without chopping. Gates couldn’t adapt to the changing conditions of the space. In 1974, Dan Dugan, a former theatre sound designer who had been experimenting with automatic mixing, showed his first “Adaptive Threshold Automatic Microphone Mixing System” at the 49th Audio Engineering Society (AES) meeting in New York City. Dan Dugan in his shop. Dugan’s system operated on the principle that each individual input channel is attenuated by an amount (in dB) equal to the difference (in dB) between that channel’s level and the sum of all channel levels. The gain of all channels is adjusted immediately and continuously based on what each channel is receiving. The neat aspect of this mathematical construct is that the total gain through the system never changes. It always stays at 0dB. Dugan’s first patent was for a control apparatus for sound reinforcement systems that sensed ambient sound level in the environment of a theater to control each microphone's individual level. In 1976, two years later, Dugan was granted another patent for an automatic microphone mixing process where the total gain of the system remained constant. The core concept of Dugan’s automatic mixing system — called the Dugan Speech System — has remained unchanged since then. It is totally automatic. There are no thresholds or other adjustments to set. 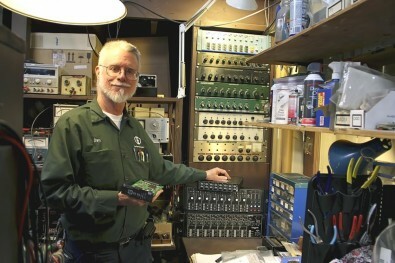 Dan Dugan Sound Design, based in San Francisco, began manufacturing the first automatic mixer system, the Model A, based on those two patents. The algorithm was simple and effective. Each individual input channel was attenuated by an amount, in dB, equal to the difference, in dB, between that channel’s level and the sum of all channel levels. 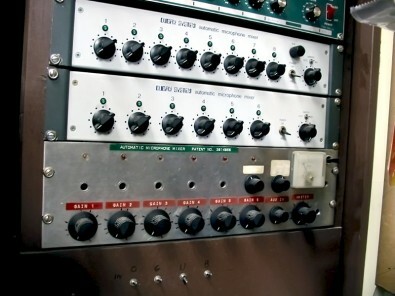 At the 87th AES Convention in 1989, Dugan introduced the idea of using an automatic mixer inserted within target channels on a professional audio mixer. Each microphone's signal would be interrupted inside its channel strip and sent to a variable gain circuit contained within Dugan’s device. The signal would then be returned to the mixer at a level consistent with the Dugan algorithm. This became the Dugan Model D automixer. In 1993, Dugan's patent for his Speech System expired. Competing manufacturers began to bring the Dugan algorithm directly to their product designs. Free of the contractual obligations he had acquired during the patent period, Dugan vowed to build concentrate on building the best automatic mixing systems. His company continues to make and improve his wide variety of systems to this day. Other major manufacturers, including Shure, Audio-Technica, Lectrosonics, Peavey, Yamaha and others have manufactured automatic microphone systems over the years. Sound Devices, makers of the popular 688 Field Production Mixer, had earlier featured 12-channels of automatic mixing with only it’s Mix Assist software. 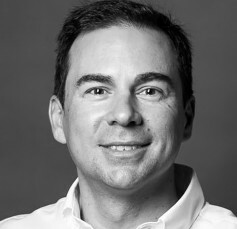 Jon Tatooles, co-founder of Sound Devices, worked at the beginning of his career at Shure, where he was involved in the company’s Intellimix automatic mixing technology. Shure’s Intellimix automatic mixing was invented by Steve Julstrom while at the company in the late 1980s. It was used extensively by Shure for many years in their popular FP and SCM line of automatic mixers in the early 1990s. That was the basis of Sound Devices’ Mix Assist algorithm as well. Compared to the Dugan system, Mix Assist conceptually operates more to a very sophisticated gate — a decision to turn a given microphone on or off — with very smooth transitions and finite off-attenuation. Mix Assist achieves excellent results and operates on very different principles compared to Dugan. Last April, Sound Devices, whose products dominate television and film production, not only updated Mix Assist, but licensed and added Dugan’s Speech System automixing software to the 688 mixer as a free update. The addition dramatically expanded Dugan software into the high end of the television and film production market. The move to film and television came because productions are using more and more microphones simultaneously and the problem of producing a clean dialogue mix is becoming more complex. Yet, the term is still often misunderstood. An automatic mixer does not automate everything pertaining to sound mixing. In fact, it doesn’t “mix” at all. It simply turns down microphones which are not actively being used, to reduce the background noise in a mix and make it more intelligible. Both the Mix Assist and Dugan systems have been used by thousands of people with excellent results. In the end, both systems accomplish similar goals. Sound Devices describes the sound of the Dugan system as a bit smoother in operation, as all of the microphone gains are continuously and smoothly changing. The mics are neither all the way on or all the way off. Each is continuously mixed in various proportions. Mix Assist, on the other hand, the company said, offers a lower noise floor as microphones which are picking up constant noise will be attenuated at all times. Mix Assist also has a feature to turn on one microphone even if several are hearing one source. Sound Devices encourages its customers to experiment with both systems, as it said users will hear subtle differences between the two algorithms. With either choice, automatic mixing has now entered high-end film and television production, giving mixers another tool in their arsenal to improve increasingly complex location sound.